Thank you for all the countless hours you’ve spent helping the Portland tech community, Dawn. We truly wouldn’t be where we are today without you. Sad to see you step back, but it is completely understandable and warranted. This just frees up some time for me to do other cool things in 2011 🙂 and thanks for the kind words. Dawn, you and the others at Legion of Tech were my first introduction to the Portland Tech community. My very first tech networking event was at the Legion of Tech happy hour at Plan B in 2008. I had been going all over the place, looking for a group to study (fresh anthro grad), engage with, and share my geeky interests with. 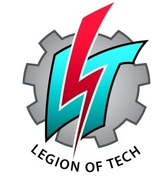 Legion of Tech was a gateway drug to all that was amazing in the Portland community. Beer and Blog, Cubespace, Ignite, BarCamp, User Groups, Open Source…etc. You inspired me again and again with your leadership. You taught me about Yahoo! Pipes which helped amp up my consulting practice. And then you inspired me to have my own conference, CyborgCamp. You and Legion of Tech have given me more skills with leadership and people than I could’ve ever imagined. More than I received from college. Your support allowed me to experiment and learn at my awkwardly slow pace for 3 years now. There’s no way I can really thank you. This short comment is a poor excuse of giving back some of what you’ve given me and the community in the past 3 years (and more). But it’s all the time I have right now. So thank you. Thank you very much. Amber, you are a big part of the reason that I can feel comfortable stepping out of Legion of Tech. With people like you coming in to organize great events like CyborgCamp, I can shift from organizing to attending! I’m so happy to hear that you were inspired by the work that I’ve done, and I can honestly say that the inspiration goes both ways. I look at all of the amazing things you’ve done in the past 3 years and it inspires me to want to do more. I’m just shifting some of that energy away from events and into other pursuits. Reading your post brought me back to those initial meetings we had to found Legion of Tech. 🙂 Thanks so much for inviting me to be part of it way back then. Seems like forever ago now! Now, maybe I’ll finally have to start showing up at Code ‘n’ splode! 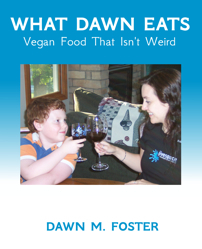 Good for you Dawn. I’ll mostly echo Amber and just say that you/Legion of Tech made navigating the world of tech/opensource/collaborative ventures far easier than it might have been otherwise – especially for a non-coder but hacker-of- sorts (across disciplines) such as myself. I’m laughing as I type this from the same office and the same chair (though many jobs and several laptops ago) from which I first contacted you about a web-based anthropology course that focused on culture and tech. Remember that? It was just before I bonded with Amber over Simon Singh (before all that libel business…).